Are you harming your listing’s chances with bad photos? A great listing description isn’t complete without stunning real estate photography to showcase the property — yet so many agents make avoidable mistakes when trying to photograph their listings. 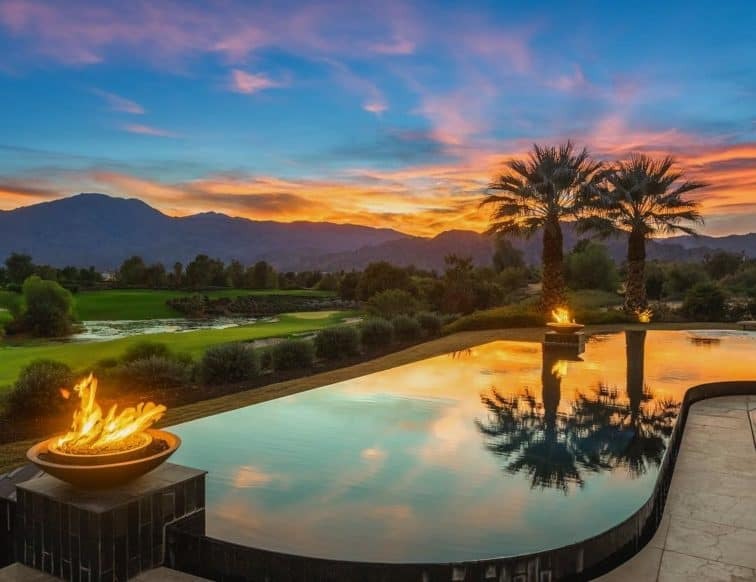 We spoke to veteran real estate Chris Miller, whose company Imagine Imagery is a go-to resource for real estate agents in Palm Springs about what it takes to get powerful images of your properties. Here are the six mistakes Miller sees many agents make over and over again when it comes to real estate photography. If you don’t have additional lighting resources — like a flash or strobes — you’re going to have to use what’s available at the property. Usually, this means taking advantage of whatever natural light is in the space. To take advantage of the natural light you can’t shoot against it. “Agents hate this fact but you have to shoot with the window light,” said Miller. Agents run into trouble with their real estate photography because they want to showcase the room, the windows and the view in one image. This is difficult to do if you don’t have photography training. “What every agent finds is, even if they have a DSLR, if they’re standing in the living room and they’re looking out the window to the view, when they try to take the picture either the inside is too dark or the outside is too bright,” said Miller. Professional photography equipment and expertise can help to get this perfect shot — it is possible. But if you’re trying to take the photos on your own it’s better to accept your limitations and shoot with the light to make sure each photo looks as good as it possibly can. If you’re using a DSLR, Miller recommends a focal length between 15-16mm. Phones, he said, have a focal length of about 28mm. For real estate agents using smartphones, he recommends a Moment Lens — an attachable lens you can buy for your phone — that can help you achieve the wide angle look. Ever wonder why natural light in a photo looks so blue while light from a lamp looks orange? Miller has the answer for that: color balance. “There’s a difference in color temperature and light,” said Miller. “Daylight has a color temperature of 5000 kelvin and regular bulbs in homes have a warmer color temp around 2800 or 3000,” he said. When you try to mix the two it gets tricky to balance the colors. For amateur real estate photography, Miller suggests the simplest fix. “You can turn all the lights in the house off, go straight with window light. If I was shooting with a phone that’s what I would do,” he said. As a professional, he has a different solution, “I use strobes to light an interior. Strobes are so powerful they overpower every other light. It makes the photo the same color temperature. That’s what makes it look crisp and accurate,” he said. For more technical insight into this aspect of real estate photography, Miller is featured on an hour-long episode of the Shooting Spaces Podcast going in depth into the topic. Real estate photography can be very technical and trying to get a good photo on your own can take up a lot of time that could otherwise be spent on your real estate business. “You do what you do good and let me do what I do good,” said Miller. While it might seem like a big price tag initially to hire a photographer, Miller says the smartest real estate agents he works with send professional photographers to every listing — not just the expensive ones. 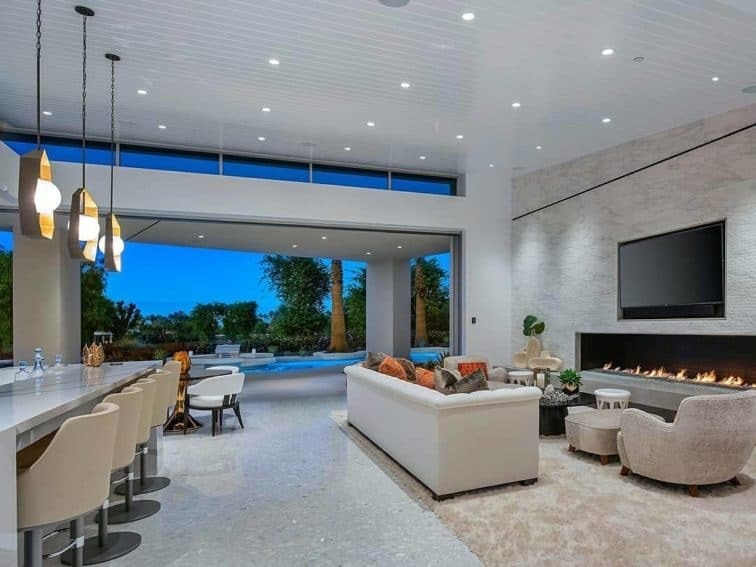 They know that images from each listing will end up attached to their name and sleek photos let every buyer — including prospective ones — know they’re in good hands. It all comes down to the idea of working on your business versus working in your business. At the end of the day, are you here to learn the technical aspects of photography or would you rather outsource that and focus on selling homes? Miller says he uses a drone for every single shoot he does. While he lives in a region of the country with amazing views — something most real estate agents want to emphasize — he said drone shots are useful even to get a better angle of the full property. “I stopped upcharging for drones because too many people would not take that option because they didn’t understand why they needed it,” he said. He recommends flying the drone just a few feet overhead to get a shot of the full house, including a nice angle of the roofline. Miller is often surprised when he gives agents great photos that never find their way onto social media. “I have real estate agents who are on Instagram and Facebook but they just use the pictures to put on the listing for the house,” said Miller. “I’ve always thought of professional photography for real estate agents as being just as much a tool to sell the agent as to sell the house. People not only shop for houses online but they also shop for real estate agents online,” Miller said. Top earning agents stay updated with new trends. In the era of Pinterest, Instagram and other social media sites that rely heavily on visuals, real estate photography is more important than ever. It’s not just millennials who want to see a good photo — a majority of buyers start shopping online and have come to expect professional quality images. A great photo can inspire and motivate potential buyers to view the property — plus it indicates to future sellers that you’re an agent who takes their role seriously.